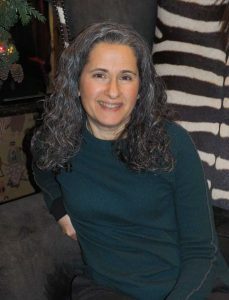 As Co-founder of Weiser Choices, Nancy provides health and wellness coaching for individuals, executives, and families. Her holistic approach combines practical, life-changing nutritional practices with guidance and support relating to exercise, stress management, and lifestyle. Nancy’s clients have benefited from improvements in weight, biometrics, digestion, energy, mood, sleep, hormonal balance, caffeine and sugar dependencies, headaches, stress levels, productivity, and family nutrition. Nancy has been featured in The New York Times and mindbodygreen.com. She has been a guest on Martha Stewart Living Radio, AM1490 WGCH, FIOS 1 News and The Local Live-LMCTV. She is a featured speaker in the documentary Bought. Nancy has served as a member of Senator Kirsten Gillibrand’s Healthy Children Working Group. She speaks to varied audiences including corporate, parent, philanthropic, community and senior groups. Nancy earned her BA from the University of Pennsylvania, her MBA from the Wharton School and previously worked in marketing for Time Inc. She holds certificates in health counseling from the Institute for Integrative Nutrition and Teachers College Columbia University. Nancy lives in her hometown of Mamaroneck, NY with her husband and their three daughters.